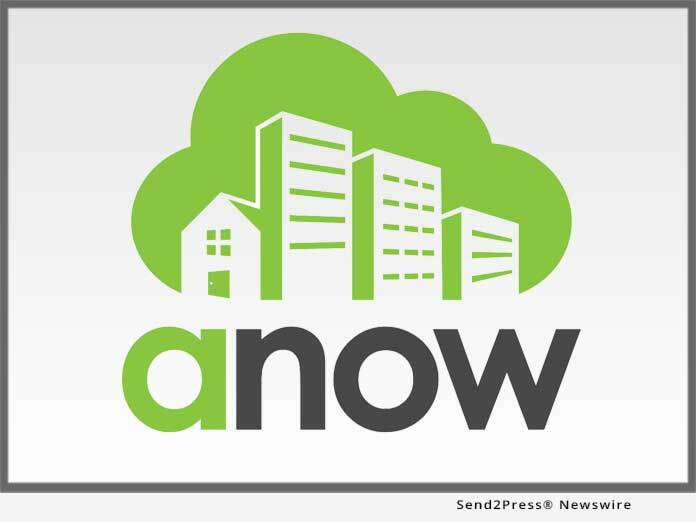 RED DEER, Alberta, Jan 22, 2019 (SEND2PRESS NEWSWIRE) -- Anow, the appraisal firm management software developer that simplifies the way real estate appraisers manage their businesses, today announced a partnership that makes its powerful appraisal technology platform available to members of the Business Association of Real Estate Appraisers (BAREA). "BAREA empowers appraisal companies by giving them access to beneficial professional partnerships and better business tools," said BAREA spokesperson Natalie McDonagh. "Equipping BAREA members with access to Anow's digital appraisal management platform will strengthen their competitiveness by reducing the time and cost of producing an appraisal while facilitating the delivery of top-tier service to customers and mortgage lenders." According to McDonagh, as more appraisals are administered by appraisal management companies (AMCs), the profit margins of appraisal firms are being compressed to critical levels. However, Anow's technology holds the potential to help reverse that trend by giving independent appraisal firms access to process efficiency tools that will enable them to take on more business while reducing their workload. "Immediate business efficiencies are possible with BAREA members using the same collaborative software platform," said McDonagh. "The ability to share best practices and benchmarking data gives our members a tremendous advantage. There's never been an appraisal partnership like this." "Anow is the first company to deliver an enterprise software platform that gives appraisers a single point of access to manage orders and fees from various sources and collaborate with appraisal teams, AMCs and lenders," said Anow President and Founder Marty Haldane. "We are excited to provide BAREA's member network with an indispensable, modern appraisal tool that's accessible from any web-enabled device with almost no setup required." For more information about Anow's appraisal management software, contact sales@anow.com or call 800-403-7121. Anow is an appraisal management software developer that simplifies the way real estate appraisers manage their businesses. Launched in 2011 by multi-generational appraisal professional Marty Haldane, Anow streamlines a wide range of everyday appraisal processes while offering unmatched business insights to help appraisers compete in today's digital environment. Powerful order tracking, job assignment, collaboration, and scheduling tools allow appraisers and administrative staff to save time, assign appraisals more easily and deliver exceptional service to clients and mortgage lenders from any web-enabled device. Advanced reporting enables business owners to manage fee competition and turn times with ease. Anow is headquartered in Red Deer, Alberta. For more information, visit https://anow.com/. BAREA is a trade association of Canadian real estate appraisal professionals that aims to empower appraisal firm members by promoting their professional value, preserving and promoting their businesses, creating purchasing power opportunities and provide professional development opportunities. BAREA strives to be the most trusted group of professional residential real estate appraisal firms in Canada. For more information, visit https://www.barea.ca.